August 4, 2015 -- Do you feel uncomfortable when a patient appears different from you? It is a very natural response, according Gwen Essex, RDH, EdD, a clinical professor at the University of California, San Francisco (UCSF) School of Dentistry, who is helping dental and hygiene students learn to accept their discomfort and ultimately better connect with all sorts of patients. Gwen Essex, RDH, EdD, professor of preventive and restorative dental sciences, UCSF School of Dentistry. 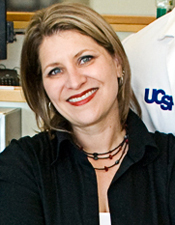 Essex's efforts are felt most prominently at UCSF, where she is a professor of preventive and restorative dental sciences. Knowing that dentistry has historically been practiced by a relatively homogenous group of people, she is excited to be in a place where she can witness the field changing to become more diverse and inclusive. She believes that learning to connect with others from varied backgrounds and cultures will help prepare dental and hygiene students to practice in a world that is rapidly changing. "Thinking beyond your ZIP code and thinking beyond your community, I think, is really important if you want to help the world get healthier," she said in an interview with DrBicuspid.com. "It's the cultural humility, and the interest, and the ability to show respect to someone that I think are important, and I think that will help us bring more people into the practice." At UCSF, Essex also teaches about diversity and inclusion, helping students learn how to better connect with patients and colleagues who may make them feel uncomfortable at first. The hope is that by helping students accept being uncomfortable, they will grow as people and become better healthcare providers after graduation. "As a healthcare provider, what you need is to connect with that person, right now, in your chair, regardless of skin tone, their sexual preference, their gender presentation, their religious beliefs, their age, their education, socioeconomic status -- you've got to treat that patient," she said. "So how do you that? I think, personally, you do that by developing comfort getting to know people." To help with that process, this year the school held an informal lecture taught by multiple UCSF healthcare professionals, which addressed why diversity is important. "What I was inviting them to do was to be comfortable in their abilities to approach someone who initially either appears like them or appears not like them and to not trust assumption," Essex said. "I hope our clinicians can look past that to realize they're there to treat that human being, who presents however they present, it doesn't matter. They're another human being." Beyond the classroom, Essex has been a proponent for inclusion within the dental school. Around 2007, she founded the Gay Straight Dental Alliance (GSDA) with colleagues after noticing that some students did not feel comfortable with being their whole, true selves. Now that GSDA is established, the school has had at least one out, gay dental student each year, which Essex said had not occurred before in her time on campus. The GSDA has also helped faculty and staff feel comfortable being their whole selves. One of the next steps for the alliance is to expand beyond San Francisco, which Essex realizes is a needed change and will be even more of a challenge in less progressive cities. Watch the video below to learn more about Gwen Essex, the GSDA, and the importance of diversity in dentistry. To contact Gwen or find out about getting a GSDA group started at your school or alma mater, visit the GSDA Facebook page. Gwen Essex, RDH, EdD, discusses why diversity and inclusion is important for academia, and how making academia a safe space can translate to practice. She also talks about founding the Gay Straight Dental Alliance.